Kate, Beatrice, Jaquenetta and Queen Margaret: Shakespeare’s women were some of the most powerful and influential characters in the Bard’s plays – in many ways ahead of their time. But even these early-day feminists weren’t nearly as colorful as some of the real women who lived in Shakespeare’s London during the 16th Century. 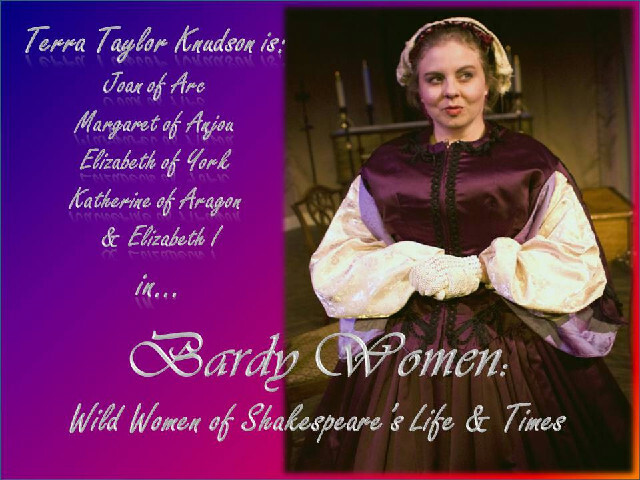 From lives in religion, music, higher-education and crime, these women broke the mold and rocked the Tower of London! Told through monologues, anecdotes and a little creative conjecture, this 60-min performance explores the lives of some of the world’s greatest Medieval & Renaissance women (and a few men who loved them). Written and performed by Terra Taylor Knudson, its highlights include a dialogue between Queen Margaret and Elizabeth Woodville from Richard III, Joan of Arc from Henry IV, Queen Katherine of Aragon from Henry VIII, and the hilarious “266 years of history in 15 minutes”. Performances are free and will take place December 12 and 13 (4:00 – 5:00 pm) at Rancho Santa Margarita Library. For more information go to http://oliotheatreworks.org/.